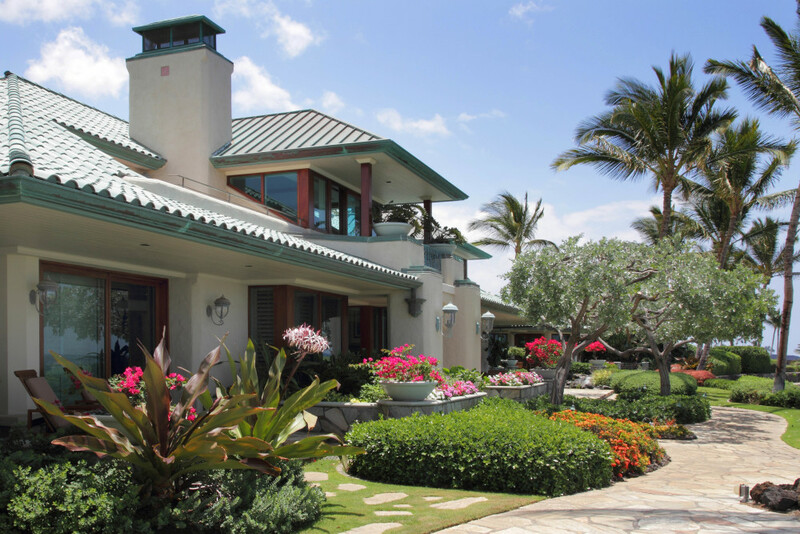 Halekailani Estate – Luxury Vacation Homes, Inc.
Halekailani (House of the Heavenly Sea) Estate is situated on an acre of ocean front in a privacy-gated estate section at one of the prestigious Kohala Coast resorts. 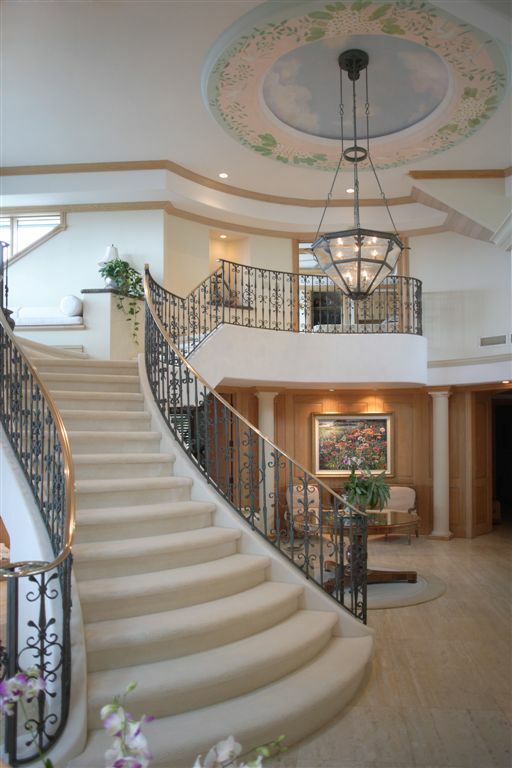 Majestically positioned on a lava rock promontory, this 10,000 square foot, centrally air-conditioned villa has seven bedrooms with private baths ensuite. 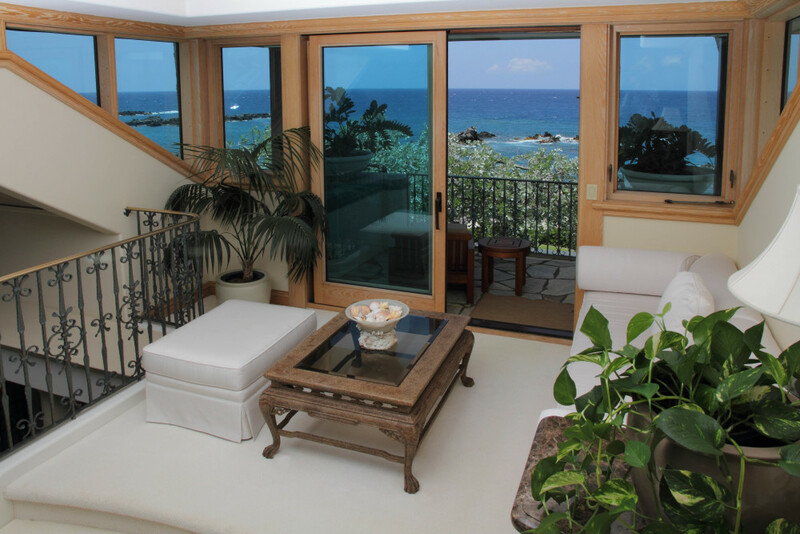 Three of the bedrooms are located in the Main House (two on the first floor and one on the upper level)and all three have direct oceanfront views. 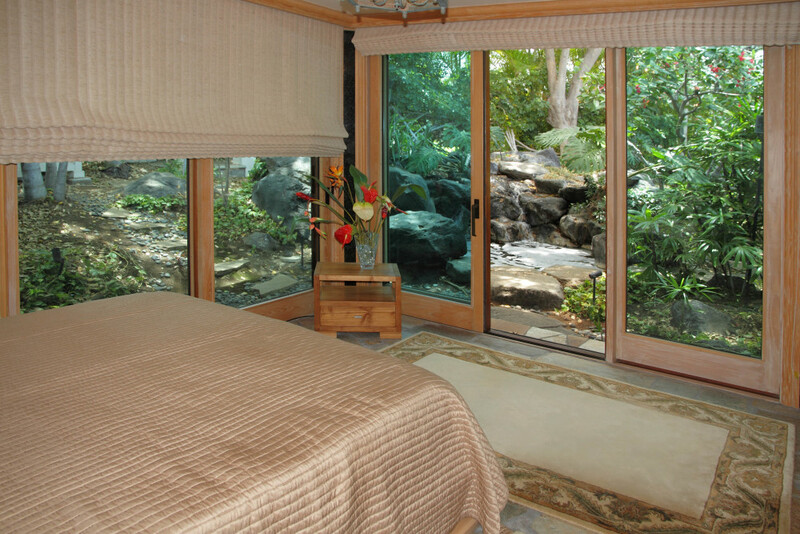 Four bedrooms are located in the Guest Wing and each has a separate entry that opens onto the inner courtyard which has a pool with waterfall and a secluded spa. 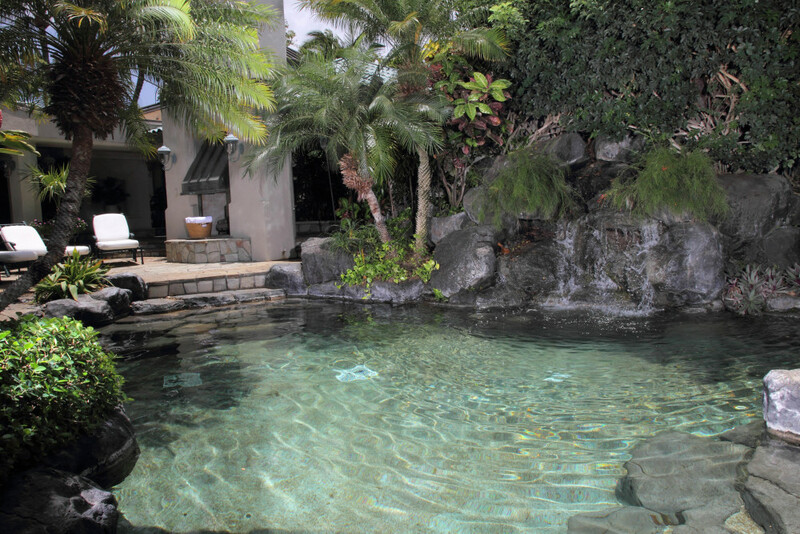 As you open the bronze-gated entry to Halekailani you pass through the lush courtyard and pool area, flanked on either side by the guest wing bedrooms. 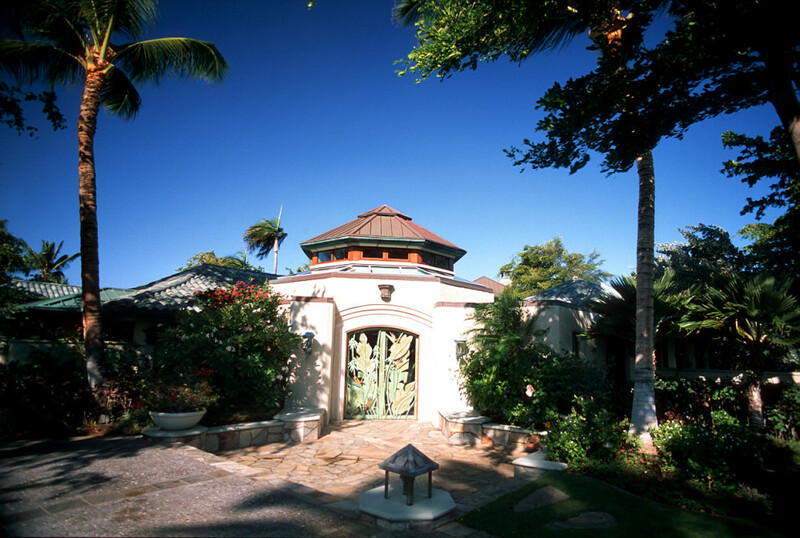 Entering the main house through etched-glass double doors, a foyer with a 30′ tall domed ceiling, adorned with murals of plumerias and doves, invites you into the two-story Great Room where magnificent views abound through the walls of glass that line the ocean side of the villa. 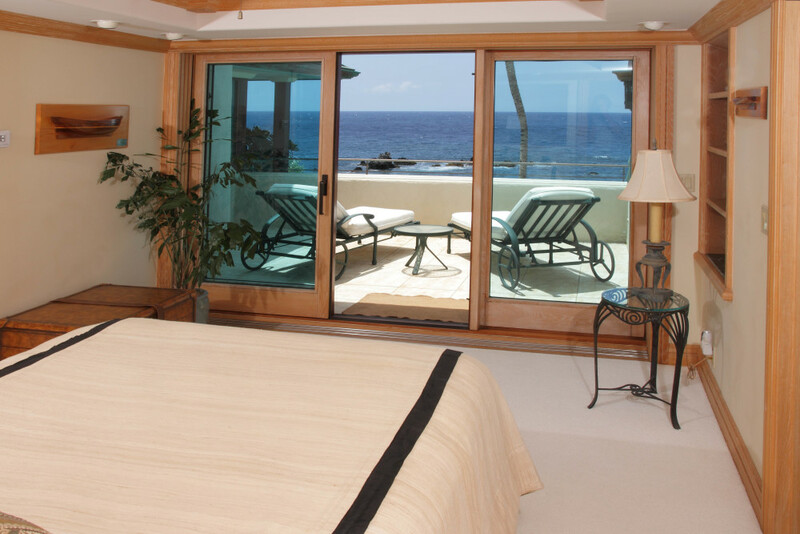 The glass doors of the Great Room and the dining room can be opened to allow unobstucted views and easy access to the oceanfront lanai, pool and spa. 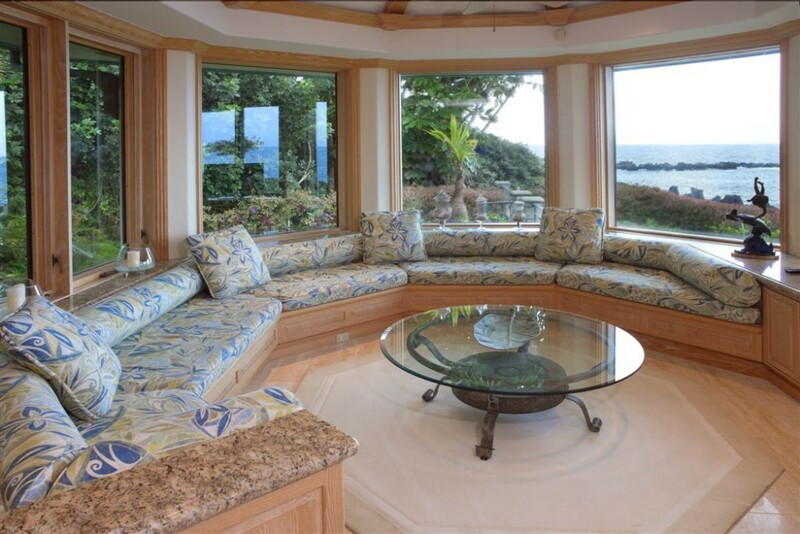 Halekailani has been superbly crafted utilizing the finest available marbles, woods, fixtures, appliances and landscaping. 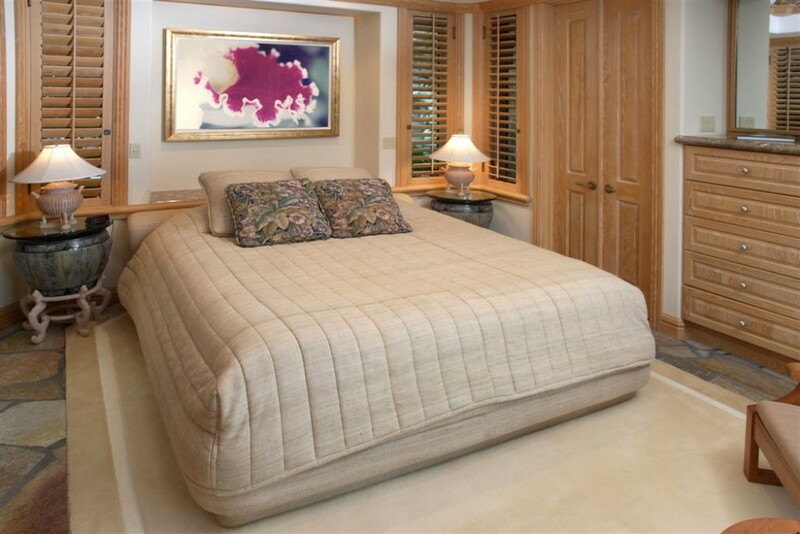 The decor and furnishings have been selected with equal attention to quality and detail. Other features include two swimming pools and two outdoor spas (one pool and spa are located oceanside and the others are located in the interior courtyard), a well-equipped gym/exercise room (treadmill, stair-stepper, free weights, sauna, steam shower, TV), a state-of-the-art media room (HDTV, DVD, CD, VCR, Surround-sound stereo) and a home office with computer, high-speed internet access, printer, copier and fax machine. 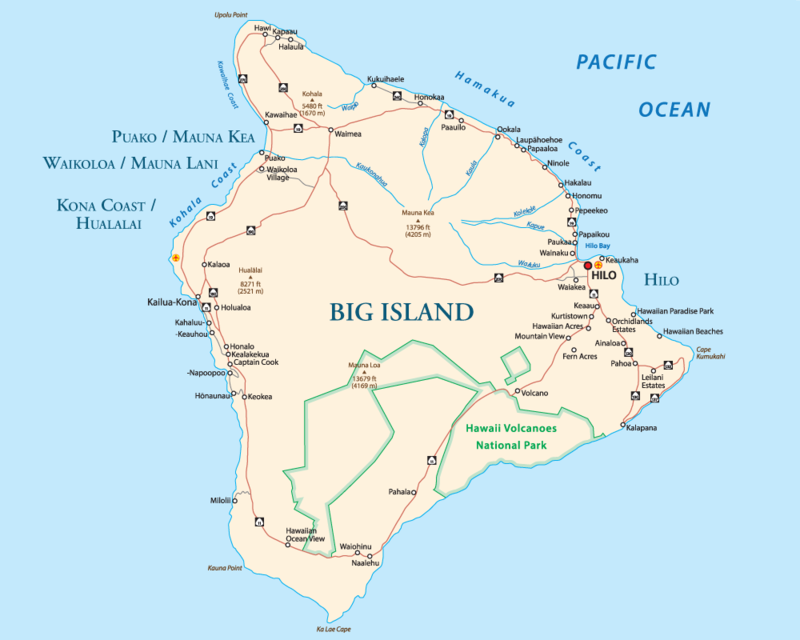 The house manager/concierge for Halekailani will assist with recommendations and arrangements for airport transfers, catering, golf tee times, tennis reservations, dinner reservations, spa treatments, private tours or activities charters, pres-stocking of groceries, etc. Please note the cost of the above services and activities are NOT included in the rental rate and will be at guests expense. 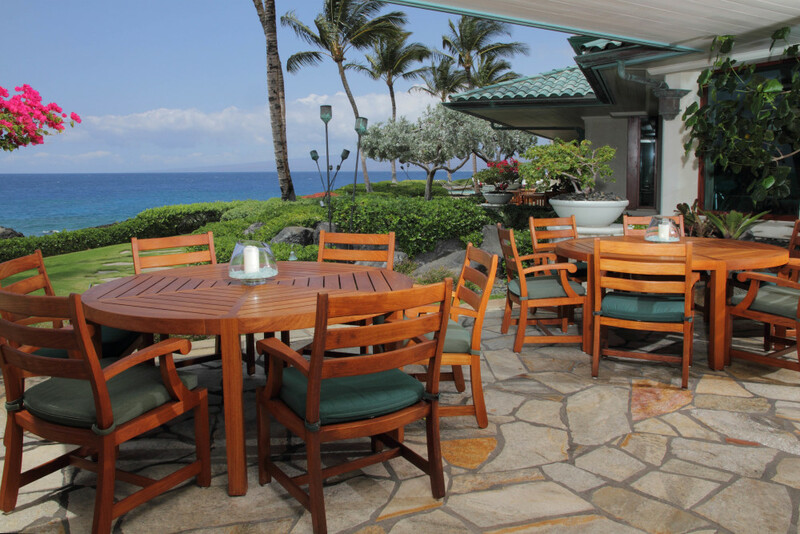 Guests at Halekailani also have access to the Resident’s Beach Club (a 5 minute walk along the oceanside pathway) and have golf, tennis, spa and dining privileges at two resort hotels. Staff Services: Daily maid service & concierge included. Additional staff services available at additional cost. A Reservation Request Form must be filled out and submitted to the owner in writing and must receive specific approval before dates can be fully confirmed and a Rental Agreement issued.